This year we have decided to extend Resident Appreciation Day ($! Day) to an entire month!!! 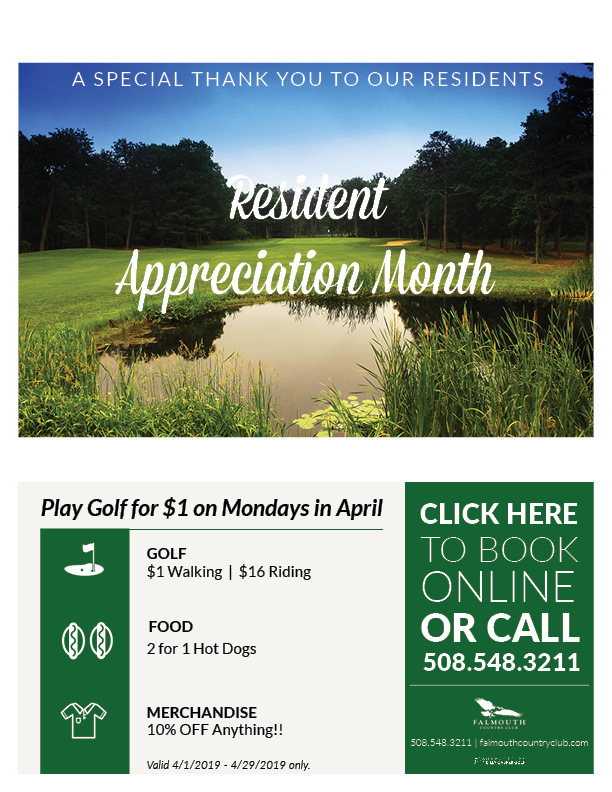 Every Monday in April, Residents of Falmouth and Mashpee can play Falmouth Country Club for only $1! !